As-Salamu `Alaykum. Is it unlawful in Islam to entertain children at the Islamic center with a "magic show"? Magic shows that are done for entertainment purposes are not considered part of prohibited magic or sihr. Such form of play that is meant to entertain children is permissible. However, it is the duty of parents to teach their children not to be deceived by illusions that are done by some people who may use the sleight of their hands and make them believe that they control supernatural powers. 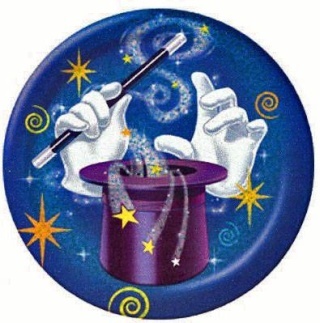 “The word "magic" has many definitions in English language. It could mean 'black magic' which may include sorcery, amulets, talismans, potions, charms, spells exorcism etc. But it could also mean just a sleight of hands used for entertainment. The "magic shows" generally belong to this last category and I do not think doing such acts for the purpose of entertainment is haram or makruh in Islam. Islam forbids sihr and in the Qur'an and Hadith it is very strongly condemned. In the Qur'an the word sihr occurs in more than sixty places. Sometimes it is mentioned that the non-believers abused Allah's Prophets and called their miracles or effective words as sihr or magic. But there was a big difference between the Prophets' miracles and magic. The Qur'an refers to the character of the Prophets and to the purity of their message and says that this cannot be called magic and the Prophets of Allah cannot be called magicians. Those who practiced sihr used to believe in some demonic powers and used to worship devils and evil sprits. They used to spend time in wilderness living with human and animal corpses or even practicing cannibalism. Sahirs (magicians) were often people of evil character who used to use their illusions to mislead people or to harm others. Sometimes the Sahirs used to make big claims of controlling the powers of the unseen world and in this way they used to exploit the simple people. Magic in this sense or sihr, witchcraft, oracles, palmistry, fortune telling etc. are all forbidden or haram in Islam.